Other features of this new smartphone include 16GB internal storage paired with 3GB RAM, 13MP Sony Exmor IMX 214 rear AF camera with LED Flash, 8MP BSI front camera, WiFi, Bluetooth, GPS with A-GPS, Fingerprint Scanner, Dual-SIM, dual Standby etc. 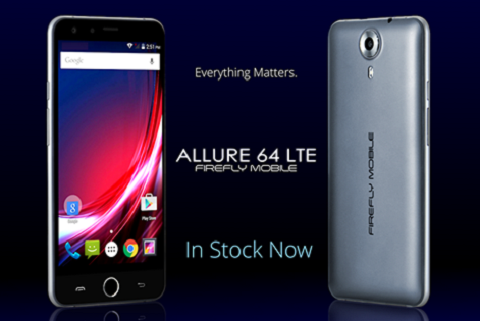 The Firefly Mobile Allure 64 LTE sports a Php 7,999 price tag. The new mobile phone is now available in all Firefly Mobile outlets and kiosks nationwide.